The power of the Qing Dynasty, an area later known as Manchuria, this is also known as the location of the Forbidden City. 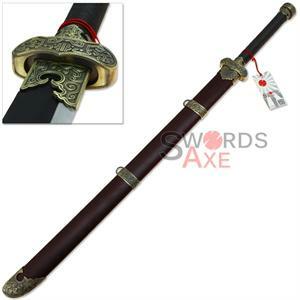 This Chinese Dao sword is distinctly named after the famous city from ancient china. 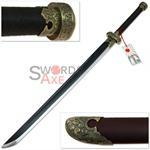 It has a carbon steel blade with a full tang and the blade is quenched and heat treated black. 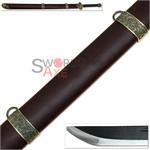 There is a safety edge present making it perfect for reenactment and costume or display. 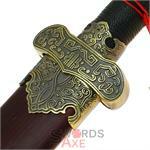 The fittings on the sword and scabbard (Saya) are all metal with an antiqued brass finish. The Saya has a simulated dark wood finish, and is made of solid wood.